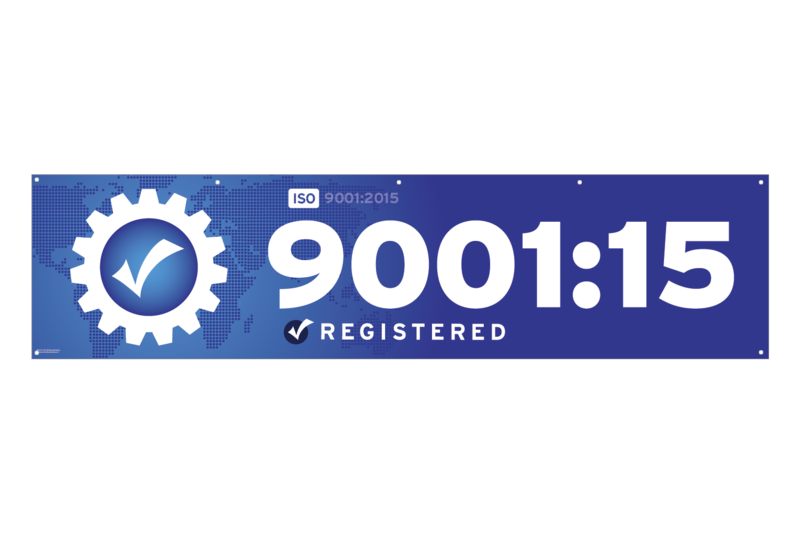 These stunning ISO 9001:2015 banners are great for indoor or outdoor display. Crafted of heavy duty, outdoor vinyl, they are also printed with fade resistant inks with a target service life of 5 years without fading. 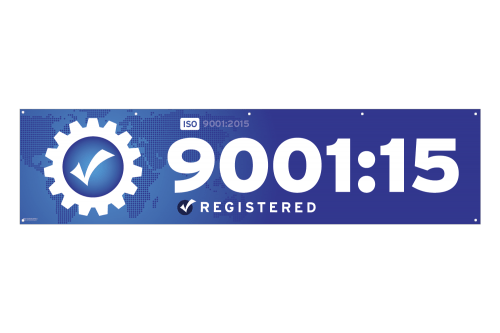 They’re an excellent way to publicize your ISO registration. Printed on one side. 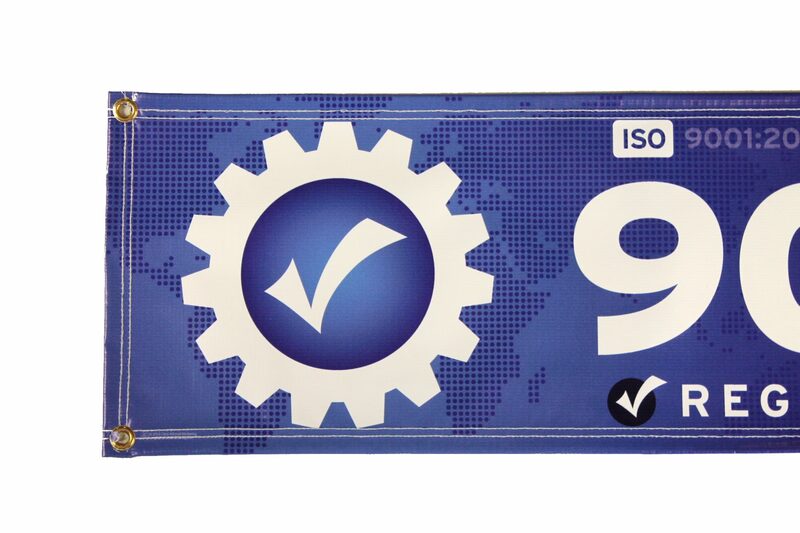 ISO 9001:2015 banners are ideal for display indoors or outdoors. Made of heavy duty vinyl with grommets for hanging.